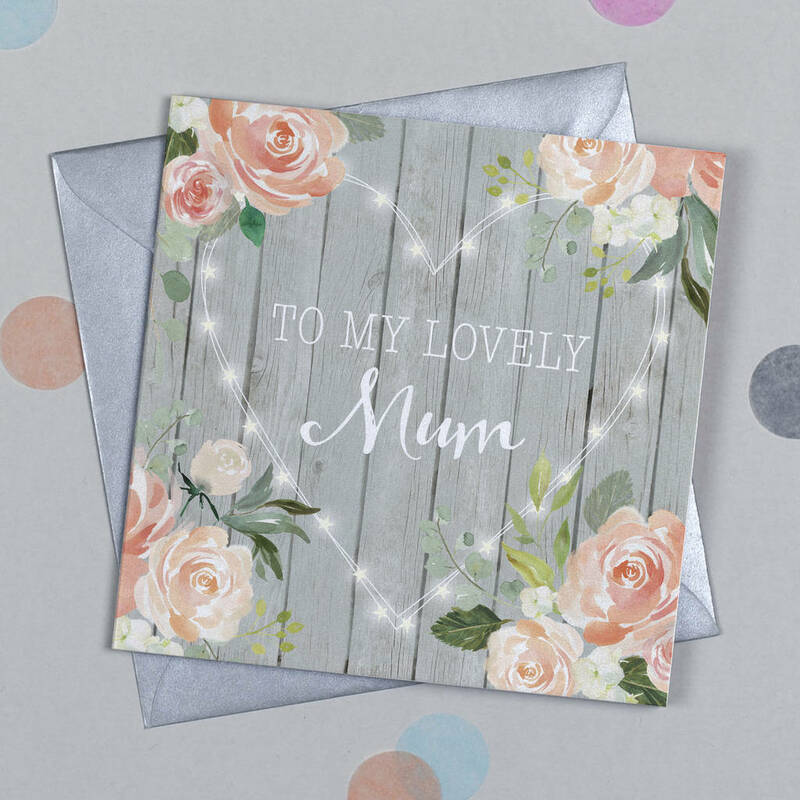 Beautiful floral Mum birthday card with heart-shaped glowing fairy lights design, available in sage or rustic wood background with peach or pink flowers. 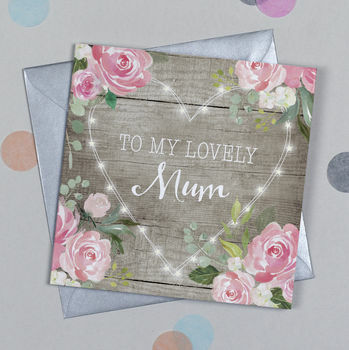 One of my latest designs and perfect in either colour way, send your Mum a lovely greeting with this pretty square folding card. Printed on 350gsm diamond white matte card. Blank on the inside for your own message. 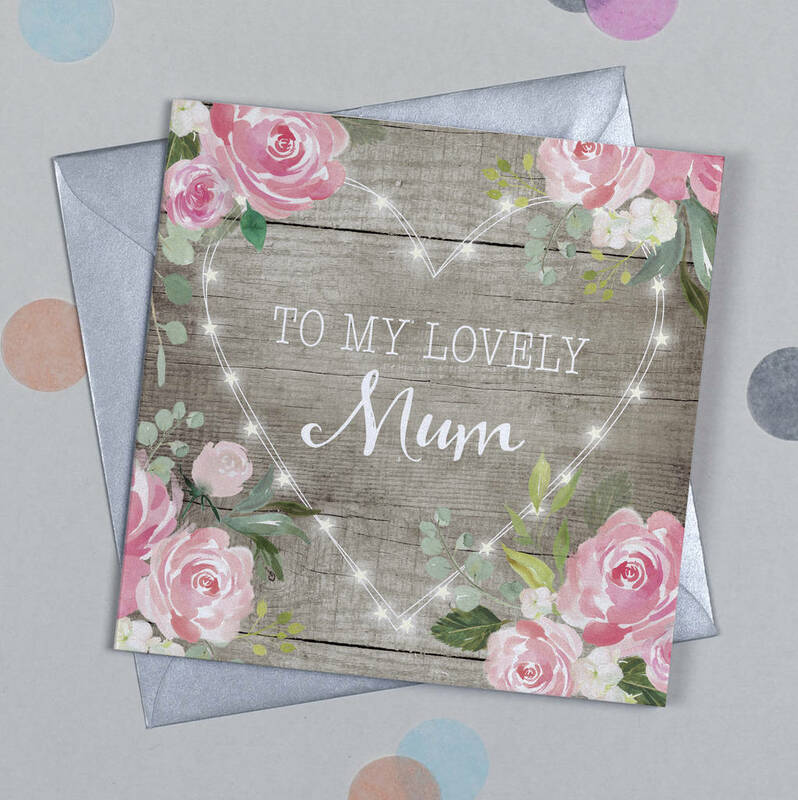 Price is for one card, please indicate your colour choice in the drop down menu and how many you would like to order in the quantity box. Price includes a square envelope. Printed on 350gsm diamond white textured card and 100gsm envelope. This product is dispatched to you by Michelle Fiedler Design.